So as E3 draws closer, the producers of games seek to cash in on promoting their new games - and Irrational as taken the chance to give Bioshock: Infinite some good old fashion promotion by releasing some posters, wallpaper and a 10 minute game demo. 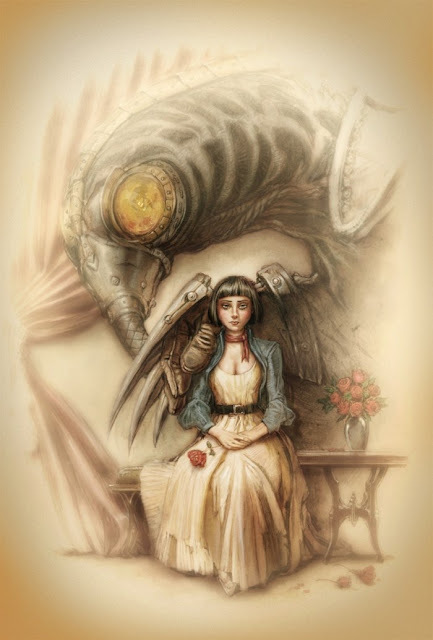 "Last week, we held a pre-E3 press event to show BioShock Infinite--you may have noticed the slew of BioShock Infinite previews and interviews hitting the web. Our preview location was plastered with ads for Columbia's various products as well as Founder propaganda. 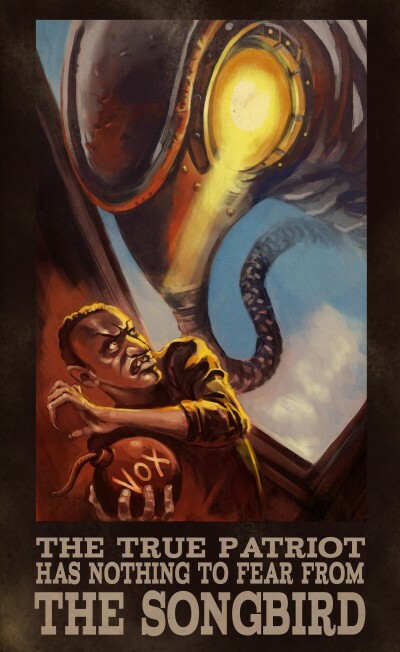 Those posters will reappear in our E3 booth and will find their way into BioShock Infinite itself. Until then, we figured our online audience might be interested in taking a peek. Enjoy these ads for the Bucking Bronco vigor and the Rolston Reciprocating Repeater -- both usable by the player in combat. There's also a piece of Founder propaganda warning Vox Populi insurgents about the threat of the Songbird, Elizabeth's guardian and jailer previously known only as "Him."" 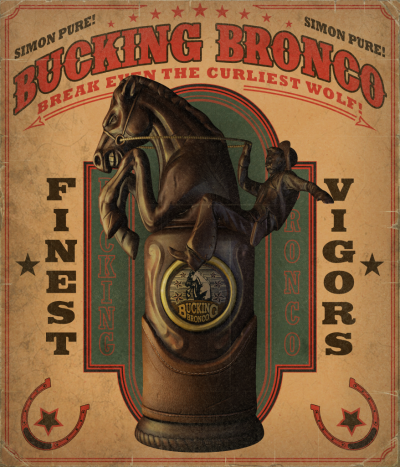 Here's a picture of the Bucking Bronco Vigor, a trick up your sleeve in game. 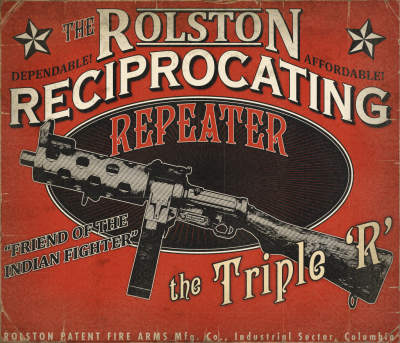 This advertisement poster and the one at the top of the post for the Rolston Reciprocating Repeater was designed by Irrational artist Mike Swiderek.